And it wasn’t the good different. It was the twenty pounds heavier complete with a fat face and borderline emerging cankles different. Being overseas for five months really expanded my horizons with food. My newly expanded waistline and bloated face were concrete evidence. But as much as I learned to love food and experiment, there were some things I could not wrap my head around. Spicy food. One time I went to get wings with my friend Shannon. She tried some from the “extremely hot” column. Next thing you know, I look over and she’s got sweat coming out of her ears. HER EARS. I’ve never been in a situation where ear sweat is not only acceptable but you voluntarily eat something that causes it. 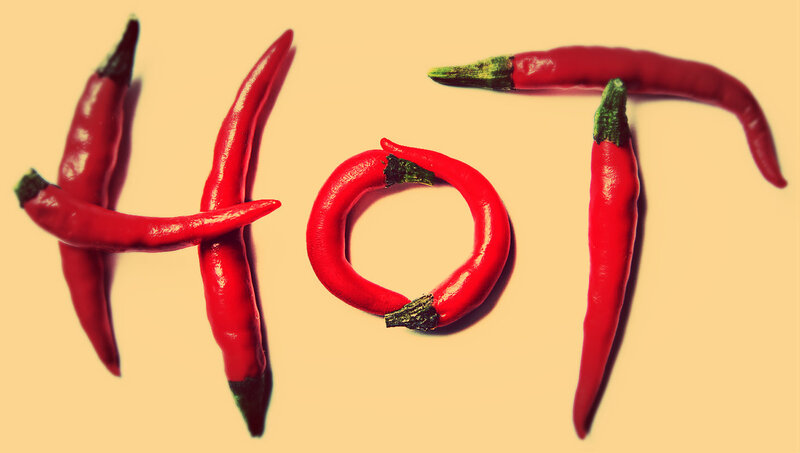 Seriously… What the hell is up with food so hot that it could burn off your face? I tend to avoid ghosts at all costs. Especially in my food. I don’t want to eat something that is invisible until I bite into it and all the sudden my mouth is engulfed in an inferno that only milk can control. I’m lactose intolerant, milk don’t work for me. I accept this. But I only accept it in a bloody mary. Otherwise, let’s stick with Stoli Orange and club soda. It’s citrus sophisticated. Yeah. HabanerNO. I want nothing to do with you. It’s not personal, only it is. It is personal. I can’t be eating something for dinner that will make me cry. I’m already a woman, I don’t need another reason to shed tears in public. I don’t think I ever want to be put in a situation where I would want to kill myself over a chicken wing. It just seems wrong. I like to enjoy my wings, maybe have some beer, watch pretend to watch sports but really be scouting all the hot men at the bar. I don’t want a fatal chicken appendage to come between me and a good man hunt. I’m sweating just thinking about all of these. I’m gonna go put an icepack on my forehead and stand in a freezer. Posted on April 30, 2014 by Half and Half	This entry was posted in Uncategorized, What's Up With That Wednesday, Writing Challenge and tagged challenge, culture, daily post, DPChallenge, food, opinion, spicy. Bookmark the permalink. ← Alright, Who Spiked the Kool-Aid? Thank you 🙂 Spicy foods are the scariest. I appreciate that, though! I need to stop being so adventurous with food, my tastebuds hate me. This was funny 🙂 Ear sweat, I can totally relate! It’s not pretty. But it’s definitely real. Great post! I love spicy food, but I’m not brave enough to try any of the items you noted here. I’ll stick with my Red Hot! And don’t we all gain weight when we travel?! I don’t think it matters if you’re gone 5 months or 5 days. Embrace it! Red Hot is my jam! Put that on EVERYTHING.